The animesh direwolves are available in a gacha which includes both free-standing wolves in different poses and with different animations and a rare companion wolf that you attach to yourself. They also come in several different coat textures. The set from deviousMind includes dress, belt and necklace, the latter with a red jewel that glows in the dark. 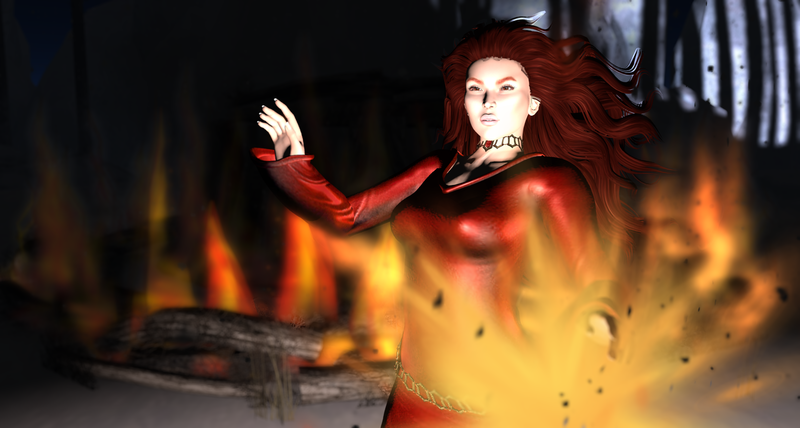 I am also using poses (and the animated fire in my hand) from a chanimations set called “Of Fire and Ice…” and the bonfire is from Artisan Fantasy.